So all this talk of tone woods and construction not making a difference, I am not sold. I'm sure most folks here believe that tone woods and construction do make a difference, I know I am one. 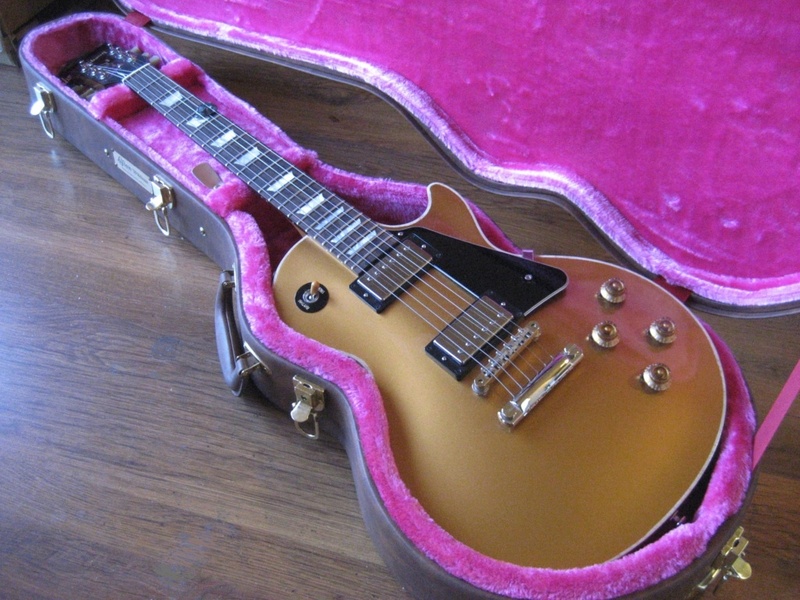 I prefer 57 Classics in the Les Pauls I have owned, even had an SG with 57s. No two of them sounded the exactly the same to me, however they are close enough for me to keep putting them into my Gibbys. I have a 2017 Tribute Goldtop too. Mine has P90's but also has the 9 hole relief. That guitar has amazing tone with or without the amp, great sustain and is one of my absolute favorite guitars. Gibson was aware of different woods and body thicknesses affecting the tone and sustain back in the 50s when the Les Paul was being designed. My 'Heritage Cherry Sunburst 90's Gibson Les Paul Std. Plus has 490R & 498T & weighs 9 3/4 lbs. & those Pickups sound great in that Guitar. My 2013 Gibson Memphis Blacktop ES Les Paul w/Bigsby has MHS Pickups & sounds equally great only more Vintage PAF Sound. Weighing about 6 1/2 lbs. It gets the most play! I have a 2017 Tribute too. Love it. Of course the main difference here is a LP has a maple cap.. It gives it more of a snap compared to a slab guitar. Really since EVERY piece of wood is unique, every individual guitar is unique. Then because they are all hand finished they can also feel very different to play even when they are meant to be the same make and model made of the same materials.